This is a slightly different post for me, but if you’ve been following my blog for a while you would know most of my posts are generally revolved around fashion, beauty and travel and I very rarely touch upon the lifestyle side of things. I thought it would be nice to delve into a bit more of my personally life, behind the hussle and bussle of the busy London city I spend most of my time in, without the professional outfit shots and posed pictures, a side of me just having fun without the thought in the back of my mind on needing perfect pictures for a blog post. The fun filled family day out was great!! Seeing all the pumpkins in the patch really got us all into the festive spirit and got me super excited for Halloween!! (Also did make me crave a Starbucks Pumpkin Spiced Frappe though). 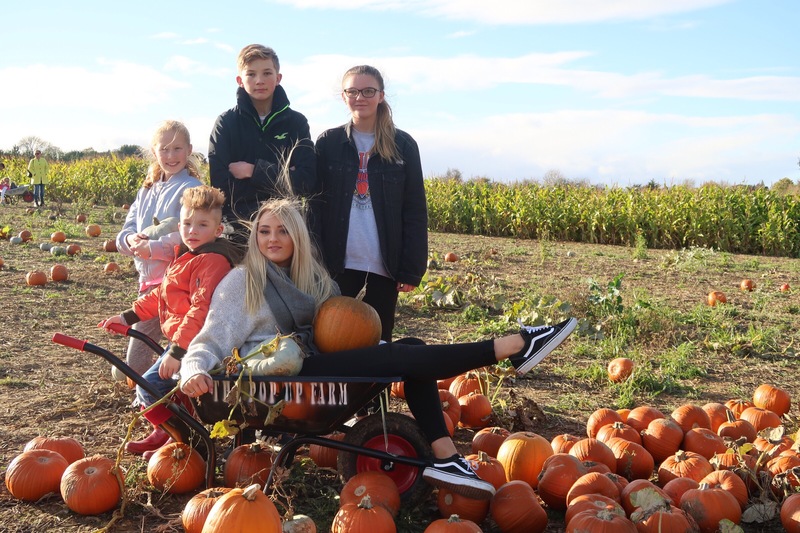 Pushing my little cousin around in the wheel burrow and searching for the perfect pumpkin to carve was an afternoon well spent!! The Pop up Farm also had a cute stop off space that served hot chocolate and coffee which smelt delicious and made the small event feel extra autumnal!! I was wrapped up in a cozy jumper and scarf to ignore the brisk weather and find my perfect pumpkin!! I would 100% recommend looking into attending a pumpkin patch event as there are loads surrounding London which are open until Halloween!! 100% Hun it was such a great day out!! Loved seeing these photos and I’d love to go to something like this, the Pop Up Farm looks awesome! I love this post and the photos! 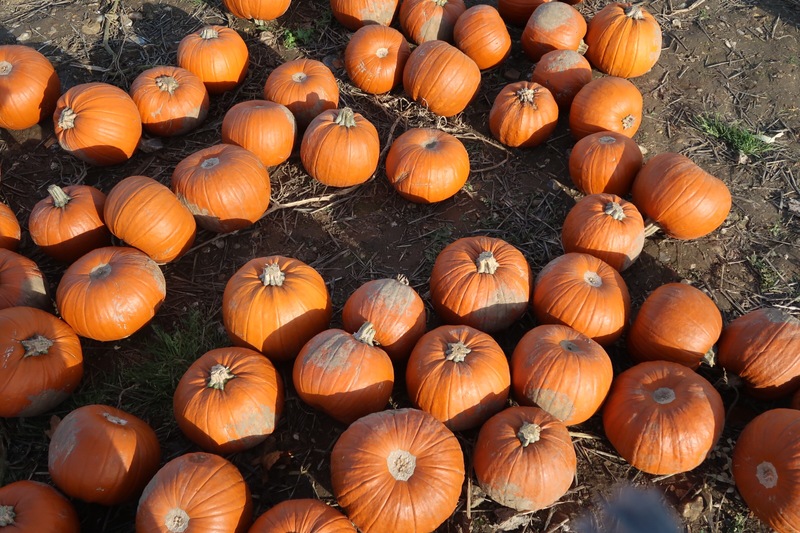 I so badly wanted to visit a pumpkin patch this year but the one me and my boyfriend went to ended up just being a large tent full of pumpkins that were already picked and just a bunch of kids games, was very disappointing! Aww this is so sweet! I’ve always wanted to go to a pumpkin patch but unfortunately there just doesn’t seem to be any near me. So I’ve been living through everyone’s pumpkin posts! Aww this looks sooo cool!